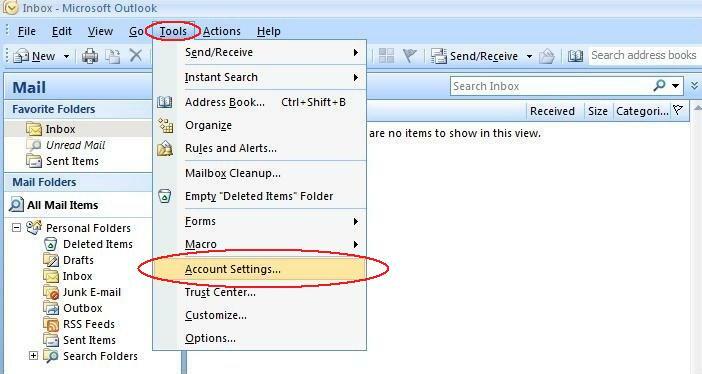 Click the "Tools" menu at the top, and the click on "Account Settings...". 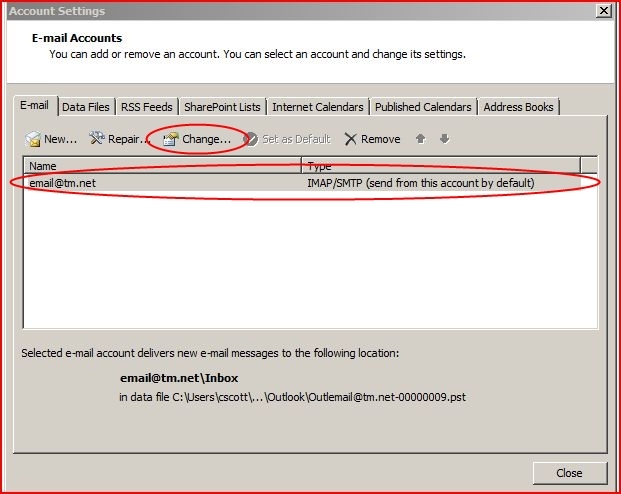 In the "Account Settings" screen, highlight your Mercury email address and then click the"Change" button above the mail server you have highlighted. Now we need to verify that the following are correct. "Your Name:", enter your name. "E-mail Address:", enter your email address. "Incoming mail server:", enter "mail.mercury.net". 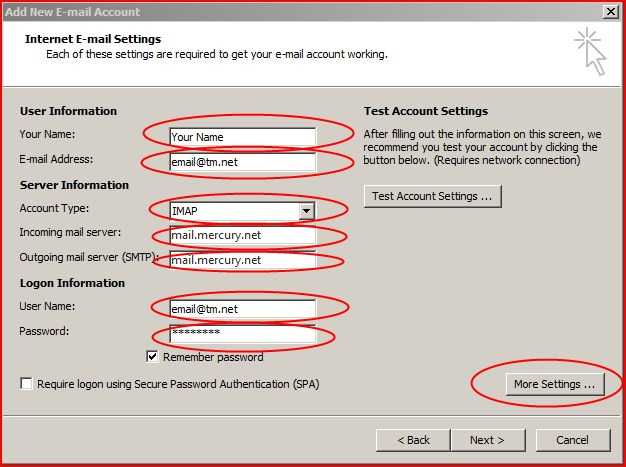 "Outgoing mail server (SMTP):", enter "mail.mercury.net". "User Name:", enter your email address. Now click the "More settings..." button. 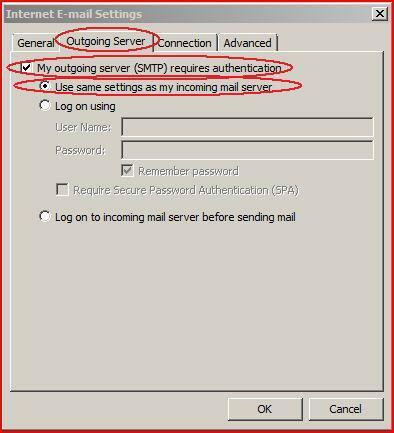 Click the "Outgoing Server" tab at the top, and place a check mark next to "My outgoing server (SMTP) requires authentication". Also, make sure to have "Use same settings as my incoming mail server" selected. 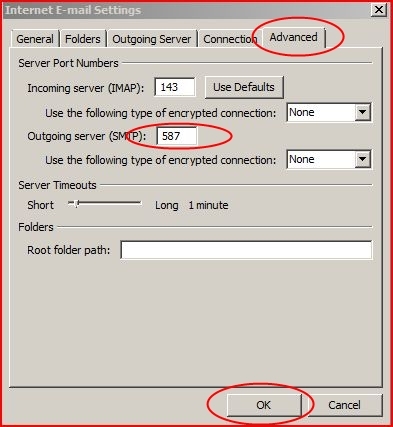 Now, click the "Advanced" tab at the top, and set the "Outgoing server (SMTP)" number to "587". Now you can click the "Next >" button on the "Add New E-mail Account" screen, then the "Finish button. You should be all set!